The hardy annual Anthriscus can be grown outdoors from early spring to late autumn. 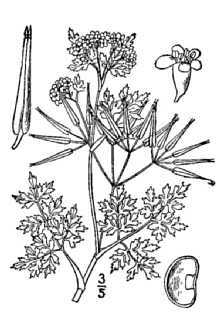 Some of the common names for Anthriscus include Garden chervil (French parsley), Wild Chervil, and Bur Chervil. It is a herb that bears a strong resemblance to parsley. The plant has flat green indented leaves and carries tiny white flowers in clusters atop 40 centimeter stems. They are best grown as part of a herb garden. Anthriscus cerefolium photograph by Bárbol. USDA-NRCS PLANTS Database / Britton, N.L., and A. Brown. 1913. Illustrated flora of the northern states and Canada . Vol. 2: 629. Photograph of Chervil by Miladus. The Anthriscus genus consists of twelve species of meadow growing plants that originate from Europe and the temperate regions of Asia. This genus is distinguished by having erect and branched hollow stems and umbel shaped inflorescences with white, sometimes pale green flowers. Anthriscus sylvestris (Wild chervil, Cow Parsley, Keck); (Annual / Biennial). This is an invasive and noxious species. As a member of the ninety one member Apiaceae family, chervil species are closely related to plants such as Dill (Anethum), Celery (Apium), Cumin (Cuminum), licorice root (Ligusticum), Parsley (Petroselinum) and Zizia. Chervil is a popular plant to grow in the garden as it has many culinary uses. The herb has been used since the time of the ancient Greeks, who used to make a kind of herbal tea with it. It has a slight licorice / aniseed taste and is usually added to a dish at the last step so as not to destroy the herbs flavor. It gets its name of French Parsley due to its popularity in French cooking; it is often used in dishes that contain vegetables, eggs, chicken, fish, and as a garnish for soups. Common Names: Chervil, Garden Chervil, French Parsley, Wild Chervil, Keck, Bur Chervil. Height: 12 to 18 inches (30 to 45 cm). Flower Details: White, green-yellow. Umbels. Sow Outside: Surface. Late autumn, then every three weeks from spring through to the start of autumn (for continuous harvests). Spacing 8 to 12 Inches (20 to 30 cm). Sow Inside: Best started outdoors to prevent bolting. Use peat pots. Germination time: two weeks. Temperature 55 to 60°F (13 to 16°C). Seven or eight weeks in advance. Transplant outdoors following the last frost onwards. Requirements: Light shade. Good drainage. Soil pH 6 to 7.5. Rich soil. Moist soil. Regular watering. Miscellaneous: Harvest leaves before flowering for best flavor, until the autumn in very cold areas. It is best to sow Chervil out on the soil surface every three to four weeks from spring through to late autumn. If growing indoors, seeds should be sown six to eight weeks before planting out, preferably in peat pots. 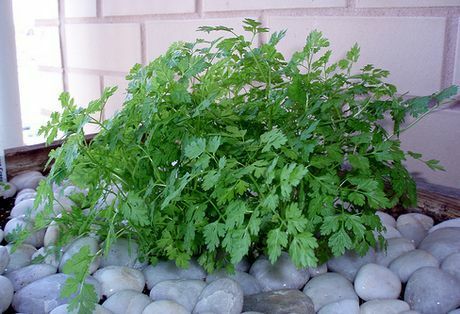 French / Beaked Parsley prefer to be grown in the partly shaded conditions. The soil should be light and within a pH range of six to seven; it should be kept moist. Anthriscus species should be kept well watered especially throughout the summer. If temperatures get very hot then it is important to cut back Anthriscus. Leaves should be harvested from French parsley before flowering as occurred for best flavor, up until the autumn in very cold areas. These annual herbs can reach a height of about 18 inches (45 cm) and are usually grown for culinary purposes. They should be spaced about eight to twelve inches apart,and grown in a partially shaded part of the garden for best results, though they are able to withstand full sunlight. They prefer a soil of pH 6 to 7.5. In the USA they are known to grow successfully in zones three through to eight. If they do reach blossom, then the flowers will be white. Seeds can be harvested by placing bags over the seeds, and allowing them to dry out. In the USA and Canada this plant tends to grow wild in states that are close to the two coasts and the great lakes. It is classified as a noxious weed in both Washington and Massachusetts. It is forbidden to grow wild Chervil in the state of Massachusetts. It tends to grow wild in coastal area and riverbanks where it is considered a serious weed as it does not have any natural predators in the USA. The plant is weedy, noxious and invasive. It is probably not a good idea to grow this plant close to your herb gardens or anywhere near your garden for that matter. 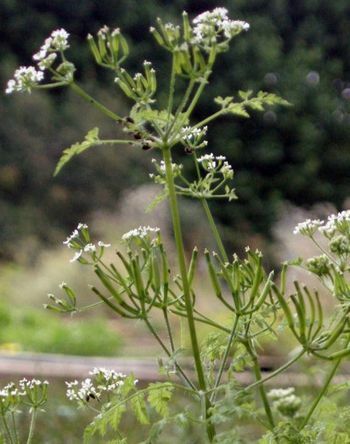 Additionally wild chervil is known to be a host of parsnip yellow fleck virus; this virus affects members of Apiaceae such as carrots and celery. There are no good reasons for growing this Anthriscus plant outside of controlled conditions for scientific research. If you do plan to grow this biennial then wear gloves when handling it as it may cause a skin rash. It is able to grow in soils with pH 6 to 8 and can tolerate both partially shaded and sunny areas. 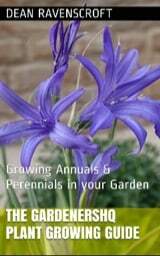 sow seeds on the soil surface In the autumn before the last frost. If you see this plant growing wild in your area, you may be interested in preventing it spreading. The university of Vermont offers advice on controlling this weed.